28 August 2018 – Bangkok, Thailand: The largest global sports media property in Asian history, ONE Championship™ (ONE), recently held the official ONE: KINGDOM OF HEROES Open Workout at Nakornloung Promotion Gym in Bangkok, Thailand. Set for the Impact Arena on 6 October, ONE: KINGDOM OF HEROES will feature The Ring and WBC Super Flyweight World Champion Srisaket Sor Rungvisai of Thailand, as he defends his title against challenger Iran “MagnifiKO” Diaz of Mexico. In attendance at the Open Workout were Srisaket Sor Rungvisai, Iran Diaz, as well as ONE Championship athletes Rika “Tinydoll” Ishige, Sagetdao “Deadly Star” Petpayathai and Petchmorrakot Wor. Sangprapai. Srisaket Sor Rungvisai is one of the most celebrated pugilists in Thailand’s history, winning the prestigious WBC Super Flyweight World Title on two occasions. Holding a professional record of 46-4-1 with 41 knockouts, Sor Rungvisai is ranked No. 5 on the pound-for-pound best boxers list of Boxrec.com and No. 7 on The Ring Magazine’s rankings. 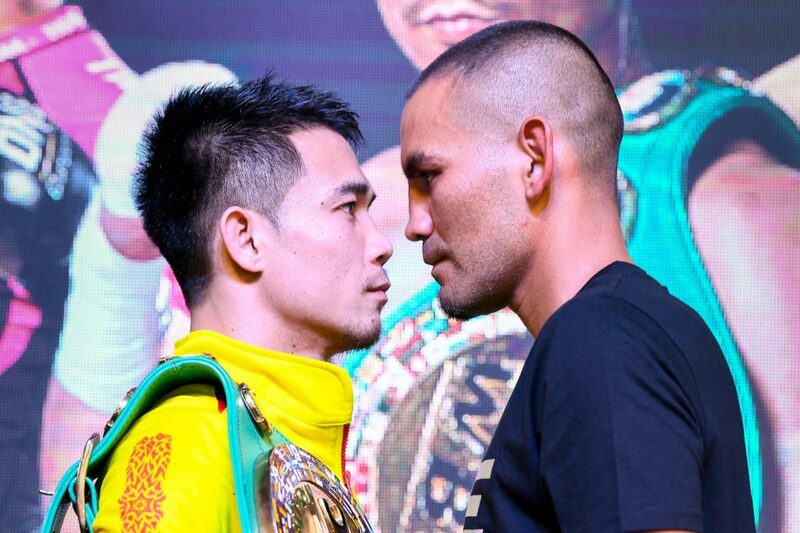 After regaining the WBC Super Flyweight World Title in March 2017 and then successfully defending it two times, Sor Rungvisai will now defend his WBC World Title in ONE Championship’s historical event in Thailand, ONE: KINGDOM OF HEROES. Iran “MagnifiKO” Diaz of Sonora, Mexico is one of the fastest rising talents in Mexican boxing. Born and raised in a country known for its passionate love for pugilism, Diaz holds a professional record of 14-2-3, with 6 knockouts to his name. His most notable victories have come over dangerous former World Champions Hernan “Tyson” Marquez and Luis Concepcion. Recently, Diaz is a winner of three of his last five contests, and is riding a wave of momentum heading into his next bout. The hard-hitting Diaz will face Srisaket Sor Rungvisai for the WBC Super Flyweight World Title at ONE: KINGDOM OF HEROES. Rika “Tinydoll” Ishige is a 29-year-old female atomweight from Thailand who trains out of Tiger Muay Thai and Bangkok Fight Lab. She is of mixed Japanese and Thai heritage, beginning her martial arts training at age 9 with aikido and taekwondo. Heavily influenced by her late father who trained in judo, Ishige went on to hone her skills as a martial artist, and turned professional earlier this year. All of Ishige’s victories have ended via impressive finish, showcasing her high-level grappling skills. She is currently one of the most popular martial artists in Thailand and in Asia. Sagetdao “Deadly Star” Petpayathai is 31-year-old a Muay Thai specialist and a four-time Lumpinee Stadium champion who has won every major title in Muay Thai. Voted by Thai media as one of the greatest Muay Thai practitioners in history, Sagetdao is known for his highly technical knowledge in all of Muay Thai’s varied techniques. Concluding his Muay Thai career with a record of 162-62-1, Sagetdao transitioned to mixed martial arts in 2017, acing his first three bouts with flying colors.